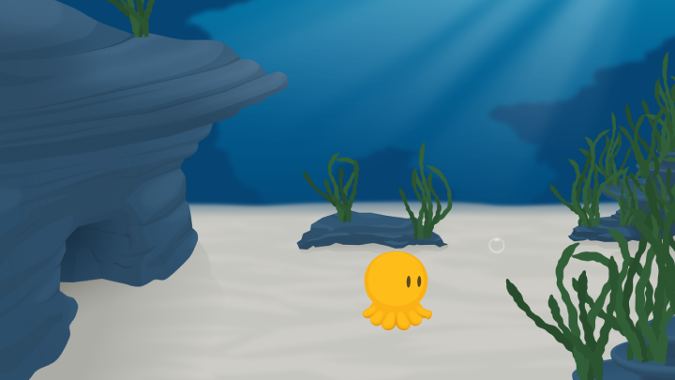 Above The Waves is a short point and click adventure game that tells the tale of a cute octopus with a fascination for the stars. 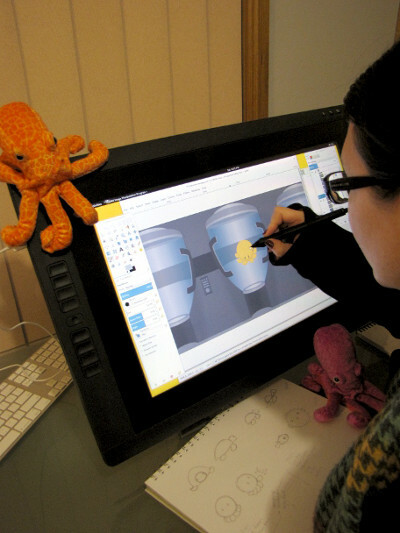 The game was originally created in two weeks for the 2015 AdventureJam game jam, and an enhanced version is currently in development. 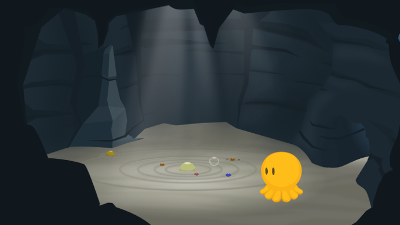 The initial AdventureJam version of the game is available to play for free, and can be downloaded from the Downloads page. Continue reading below for recent Above The Waves news! Time flies! As we draw closer to being able to give the enhanced version of Above The Waves the development attention it deserves, we felt it would be good to put together a small site for the game. Moving forward, atw.twolofbees.com will be the primary place to discover and learn more about the game, and it will be where we upload artwork, screenshots and videos of the enhanced edition when we have something to share. For those keeping track, we had been hoping to have an early version of enhanced edition ready for previewing this month, but unfortunately, other commitments have prevented us from being able to make the progress we would have liked. Don't fear. 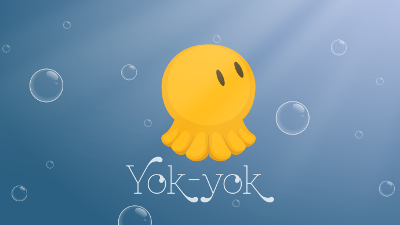 The sea is in our hearts and Yok-yok is always on our minds. I posted some thoughts on Above The Waves over on Two Lof Bees. Go read them! Or read this excerpt! Read! So, last month Cheese decided he was going to participate in this #Adventure Jam thing. Apparently, some groovy people on the internet (Cassie Benter & Stacy Davidson) decided to make an adventure game in 2 weeks and invited the whole world to join them in this forntight-long adventure game jam thing. Overall, it's been fun, and I only wish that Cheese and I had been actually able to devote the full fortnight to the game, rather than having our jam interrupted by silly little things like having to work, and sleep, and so on. Lots of love to everyone who's played the game (lofloflofloflof!) and to everyone who's going to check it out now that you've seen this blog post (lofloflofloflofloflof!) - we love you all, thanks so much for your support! Peace, out. First up, for anybody hoping for an update to Above The Waves, sorry! We’re hoping to expand the game later this year, but we’re not ready to talk about that just yet. Instead, this post is a bit more reflective, and looks at the experiences of making a game using the SLUDGE engine. It’s an excerpt from a much longer article which dives into using SLUDGE’s tools and runs through some of Above The Waves' source code. Any time I’m about to start a new project, I like to have a look around and see what tech there is out there that fits that project’s needs. 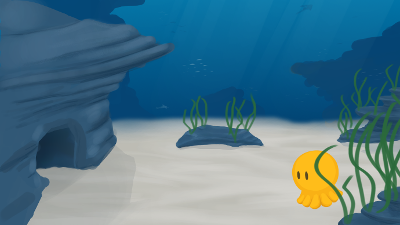 With Above The Waves being my first proper attempt at a point and click adventure game, it was time to dive in and experiment with some new tools. For Above The Waves, I knew that I wanted something capable of providing a point and click adventure style experience. To keep the amount of tech development time down during Adventure Jam’s two week window, convenience methods and tools for common 2D adventure game style functionality (automatic nav mesh traversal, perspective scaling, sprite animation, depth handling, etc.) felt essential. Based on previous research, I had narrowed down four engine possibilities that seemed to fit most of my requirements. Narrowing down options here was pretty straightforward. ASG’s lack of native Linux tools made it easy to cross it off the list. Likewise, ScummVM doesn’t have much in the way of available tools either (there is a Qt based Linux compatible editor for the AGI engine, but its last code update was in 2012), and the ScummVM developers frame targeting it for new projects as "not advisable". Godot was a serious consideration. With it being used for The Interactive Mendonça Adventures of Dog & Pizzaboy, Godot has been getting a bunch of 2D point and click adventure specific enhancements. Some of these had made their way in by the time Adventure Jam rolled around, whilst others have come into the codebase more recently. Godot’s level of complexity and learning curve looked to be steeper than SLUDGE, and with the window I had available, I decided to put Godot aside for later use. SLUDGE seemed to map fairly well against what I was looking for - it’s LGPL licenced, runs on the three major desktop platforms, and consists of an engine (a common binary that’s the "player" for a SLUDGE data file, much as AGS or Unity might have), a spritesheet builder, a nav polygon editor and a tool for creating depth masks, and a utility for managing localisations. The engine and toolset also compile on Linux, Mac and Windows. At the core of SLUDGE is the scripting language itself. This language is fairly straightforward, but has a number of idiosyncrasies that I’ll go into later. The SLUDGE compiler builds scripts into some kind of bytecode that the SLUDGE engine can run. I’d been aware of SLUDGE for some time and had had some recommendations from friends, but hadn’t really had a project suitable to use as a testbed. I also have a couple of acquaintances who’ve previously used it that I felt I could nudge for assistance if I needed it. In addition to being able to look at friends’ projects (thanks Rusty! ), I had access to several example projects on the SLUDGE website that looked like they would cover most of the functionality I would need if I wasn’t able to figure it out myself. SLUDGE was originally created by Hungry Software for their own games (there’s not a lot of solid information about timeframes that I can find, but so far as I can tell, that started with Out of Order), and has since been released under open licences (the engine itself is LGPL, and the suite of editing tools is GPL). In hindsight, I’m glad I checked out SLUDGE. It was a good opportunity to mess around with the tools, and it was enjoyably fast to put things together. If you’re keen to read more about SLUDGE and check out some snippets of source code from Above The Waves, check out this article. This post was originally published on Above The Waves' GameJolt profile. Linux builds are finally up (sorry for the wait! ), meaning that all three major desktop platforms now have conveniently playable builds. Yay! I wanted to take a moment to mention some things that might be beneficial to new players to help them appreciate the game a little better. The red fish is a puffer fish - they can expand from being very small to very large very quickly! So, it seems we’ve missed the Adventure Jam deadline! We’re still hammering away at bringing everything together and should have something ready to upload this afternoon. Below are some concept pieces and a screenshot for anybody who might not have seen them. 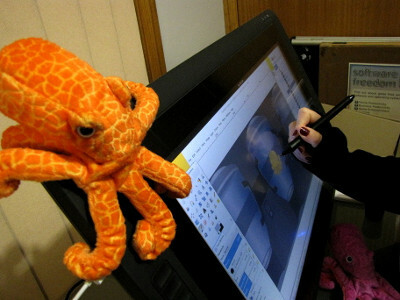 I’m teaming up with my artistic cohort and personal walrus Mim to create what we hope will be a sweet, charming tale about a wee octopus with a love for the stars. We’re still locking down the style at this stage, but currently we’re aiming for a crisp vector look and feel, although a more sketchy/and painted style is also being considered. We’re both tweeting a few bits of pieces of WIP stuff, so if you’re interested in watching the game evolve over the next couple of weeks, feel free to follow @ValiantCheese and @MimLofBees.